I write today about what seems to me to be a significant failure on the part of an IRS CI agent with respect to a third party recordkeeper summons. In United States v. Galloway, 2017 U.S. Dist. LEXIS 26362 (ED CA 2017), here, the Court denied motions to suppress or exclude certain evidence obtained by CI agents by summons to Galloway's CPA. On April 9, 2009, two CI agents (they usually travel in pairs for the type of activity I describe) showed up unannounced at Galloway's place of business. Often the first notice a taxpayer has of a pending CI investigation is when the CI agents show up to see if he will submit to an interview. But Galloway apparently was well-counseled or otherwise savvy enough not to appear when requested and had an employee advise the agents to talk to his lawyer. The CI agents thus, having lost the element of surprise, felt it was important to secure the files of the taxpayer's former CPA who had represented him in the audit from which the CI investigation apparently arose. So, they dashed out in handwriting a summons to the CPA and forthwith delivered it to the CPA at his office. Such summonses -- in this case, third party a recordkeeper summons -- cannot require the summonsed party to deliver the summonsed documents immediately. Now, for some background. The IRS is authorized to issue summonses in IRS criminal and civil investigations. Generally, the notice must be served on the summonsed party and notice given to the taxpayer within 3 days of that service. Further, the return on the service (production of the documents) must not be required until 23 the issuance of the summons in order to permit the taxpayer to bring a proceeding to quash the summons. § 7609(a), here. The notice is not required if the summons is served by a CI agent, except that notice is required if the summons is to a third party recordkeeper. § 7609(c)(2)(E)(ii). The summons to a third party recordkeeper is called a third party recordkeeper summons. Third party recordkeepers include financial institutions, consumer reporting agencies, attorneys, and "accountants." § 7603(b)(2), here. The CPA in Galloway clearly fell within the scope of the third party recordkeeper definition and the summons was thus a third party recordkeeper summons. So, the summons was required to be served on Galloway, in time to permit him to pursue the proceeding to quash the summons. I noted above that the summons was served on the CPA on April 9, 2009. The opinion says that the CIA agents interviewed the CPA on June 22, 2010, 439 days after service of the summons. During that interview, the CPA showed the CI agents some Quickbook records in his file. The question is whether the CI Agent took delivery of documents earlier than the June 22, 2010 intreview. In a footnote (Slip Op. p. 13, fn. 14), the Court says: "despite the fact that the records in question were obtained by the IRS in 2009," so I think this means that the documents were obtained in the normal course after the summons was served on the CPA. Agent Applegate stated he would have sent a copy of the summons to Galloway after serving it on Livsey [the CPA]. (Id. at 5.) He also would have given a copy of the summons to Galloway's attorney after he received a power of attorney signed by Galloway and his attorney. (Id.) Agent Applegate said he would have written a due date on the summons for at least twenty-three days after the date of service to allow Galloway an opportunity to quash the summons. (Id.) Applegate kept all of the summonses issued in the case in a folder in his office. (Id.) However, at the time of the interview, a copy of the summons issued to Livsey could not be found in this paperwork. I previously reported on the decision in United States v. Marinello, ___ F.3d ___, United States v. Marinello, 839 F.3d 209, 218 (2d Cir. 2016), here. See Second Circuit Rejects Aberrational Sixth Circuit Opinion in Kassouf on Requirements for § 7212(a) Tax Obstruction (Federal Tax Crimes Blog 10/15/16), here. On February 15, 2017, the Court denied en banc review after an active judge requested that the judges be polled on the issue. See United States v. Marinello (2d Cir. 2017), here. I write because of the strong dissent to denial of en banc review authored by Judge Dennis Jacobs and joined by Judge Jose Cabranes. I respectfully dissent from the denial of rehearing in banc. The panel weighed in on the wrong side of a circuit split, affirmed a criminal conviction based on the most vague of residual clauses, and in so doing has cleared a garden path for prosecutorial abuse. Marinello was convicted at trial on nine counts. Eight of them (for willful failure to file tax returns) raise no issue. 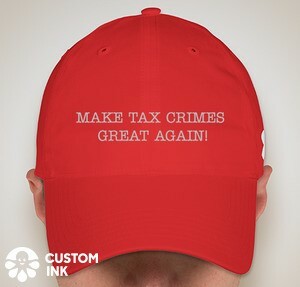 The single problematic count is for violating the "omnibus clause" of the criminal portion of the Internal Revenue Code, which makes it a felony to "in any other way corruptly . . . obstruct or impede, or endeavor to obstruct or impede, the due administration of this title." 26 U.S.C. § 7212(a). Yes: "this title" is the entire corpus of the Internal Revenue Code -- a slow read in 27 volumes of the United States Code Annotated. The government charged that Marinello violated the omnibus clause in eight different ways. And the district court instructed the jury that it was enough for conviction that Marinello violated the statute in any single one of those several ways -- and that the jurors did not need to agree among themselves as to which. 839 F.3d at 213 (internal brackets omitted). If this is the law, nobody is safe: the jury charge allowed individual jurors to convict on the grounds, variously, that Marinello did not keep adequate records; that, having kept them, he destroyed them; or that, having kept them and preserved them from destruction, he failed to give them to his accountant. After conviction on all counts, Marinello moved for a new trial on the ground, inter alia, that the omnibus clause applied only to knowing obstruction of an ongoing IRS investigation, not to every possible impediment to the administration of any of the uncountable provisions of the Internal Revenue Code; and that he therefore should have been acquitted because there was no evidence that he was aware of an IRS investigation. The district court rejected the argument and the panel affirmed, holding: "under section 7212(a), 'the due administration of this title' is not limited to a pending IRS investigation or proceeding of which the defendant had knowledge." 839 F.3d at 223. Accordingly, the law in the Second Circuit today is that it is a felony to "corruptly" take (or try to take) any of the actions listed above -- or to take or try to take any other action that impedes the "due administration" of the Internal Revenue Code. The Sixth Circuit, alert to the sweep of criminalizable conduct, held that the omnibus clause was limited to cases in which the defendant knew of a pending IRS action. United States v. Kassouf, 144 F.3d 952 (6th Cir. 1998); United States v. Miner, 774 F.3d 336, 342-45 (6th Cir. 2014). The Sixth Circuit's view is now distinctly in the minority, and the panel's opinion here signs on to the emerging consensus of error in the circuit courts. The motion was filed but apparently the memo in support was filed under seal; the motion was just the bare motion, so I don't link it. The United States response, here. The subpoenaed person sought to purge the contempt order previously issued by showing that she had complied with the compulsion in the subpoena by requesting that the Swiss banks produce the records directly to the Government. One of the banks notified the person that, under Swiss law, it could not produce the documents to the Government. But, the Government urged, whether or not that was true, with the right form of request (requesting production to her rather than the Government), the banks could produce the documents to the person and she could then provide them to the Government. Judge Pauley gave the additional time to make sure that she had the time necessary to get the documents, but he makes clear that the Government will not wait forever -- hence the March 20, 2017 date. DOJ Tax announced here the sentence for Dan Horsky. I previously blogged about him here: Former Business Professor Pleads Guilty to Tax Related Crimes; In Addition, Will Pay $100 Million FBAR Penalty (Federal Tax Crimes Blog 11/4/16; 11/9/16), here; see also Credit Suisse Being Investigated for Omitting at Least One Large Account (Federal Tax Crimes Blog 11/22/16), here. The sentence was 7 months. Given the sentencing factors indicated in the press release (excerpted immediately below) and set forth in the parties' sentencing memoranda (linked below), that is a phenomenal result. I discuss the guidelines sentence below in this blog. The 7 month sentence is way below guidelines. For reasons that may be apparent from the discussion below, that appears to be a very good result for Horsky, given what the objective factors indicate. However, I understand that there were sealed documents that bore upon sentencing so we may not be able to fully understand the sentence. In Kentera v. United States, 2017 U.S. Dist. LEXIS 12450 (ED WI 2017), here, the Court dismissed the complaint filed by two persons, husband and wife, seeking review of the FBAR nonwillful penalties asserted by the IRS pursuant to an audit after they withdrew from OVDI. The Kenteras had not paid any of the FBAR penalties, so sought declaratory judgment pursuant to the APA. Joint Rule 27(f) Report (related to discovery), here. U.S. Motion to Dismiss, here. Memorandum in Support of U.S. Motion to Dismiss, here. Kenteras' Opposition to U.S. Motion to Dismiss, here. U.S. Reply to Kenteras' Opposition, here. The relevant facts are drawn from Plaintiffs' complaint. The Bank Secrecy Act ("BSA"), 31 U.S.C. § 5311 et seq., requires U.S. citizens to keep records and file reports when they "mak[e] a transaction or maintai[n] a relation with a foreign financial agency." 31 U.S.C. § 5314(a). The report must be made in an FBAR, which is IRS Form TD F 90-22.1. The FBAR must be filed on or before June 30 of the year following the calendar year for which the report is made. If the individual fails to comply with the requirements of Section 5314, the BSA provides that civil penalties may be imposed. Id. § 5321(a)(5). For non-willful violations, the penalty cannot exceed $10,000. Id. § 5321(a)(5)(B)(I). In 1984, Plaintiff Milo Kentera inherited money located in a foreign bank account at Banque Cantonale de Geneve ("BCGE"). He added his wife's name to the BCGE account shortly thereafter. The balance in the account increased dramatically in 2007 due to the sale of Milo Kentera's parents' property in Montenegro, certain proceeds of which were distributed to Milo and deposited in the BCGE account. Plaintiffs have consistently disclosed the BCGE account on their federal income tax returns since 1984. However, in 2006 their accountant failed to prepare or file an FBAR in connection with their federal income tax return. Their accountant for tax years 2007, 2008, and 2009 made the same error, despite having information from which he could have discovered the existence of the BCGE account. In 2010, a third accountant acknowledged the existence of the BCGE account in Plaintiffs' return, but again seems to have failed to prepare or file an FBAR. In February 2011, the IRS announced a federal amnesty program for taxpayers with foreign bank accounts—the 2011 Offshore Voluntary Disclosure Initiative ("OVDI"). To participate, taxpayers were required to amend their tax returns and file FBARs for tax years 2003-2010. OVDI participants were required to pay all delinquent taxes, interest, and penalties, and, under this program, taxpayers were subject to a 25% penalty on the highest aggregate account balance on their previously undisclosed accounts during those years. In around September 2011, Plaintiffs applied to the OVDI program. They amended their tax returns for 2006-2010 to include omitted income and filed completed FBARs for 2005-2010. In August 2013, the IRS provided Plaintiffs with a Form 906, Closing Agreement on Final Determination Covering Specific Matters (the "Closing Agreement"). The Closing Agreement provided, in relevant part, that Plaintiffs would be liable under the tax code for a miscellaneous penalty of $90,092. Plaintiffs withdrew from the OVDI program the next month. (2) Milo Kentera: $500 for calendar year 2006; and $10,000 per year for calendar years 2007, 2008, 2009, and 2010, for a total penalty of $40,500. A new article has good information on the state of § 7345, here, dealing with potential State Department denial, revocation or limitation of use of the U.S. passport. Jim Buttonow, Ten things you need to know about passport restrictions on delinquent taxpayers (TaxProToday 1/31/17), here. I previously wrote on the subject, New Transportation Bill, FAST, Adds Some Tax Provisions (Federal Tax Crimes Blog 12/7/15; 2/27/16), here, but I strongly recommend the TaxProToday article. The Offshore Voluntary Disclosure Program allows U.S. taxpayers to voluntarily resolve past non-compliance related to unreported offshore income and failure to file foreign information returns. The campaign addresses OVDP applicants who applied for pre-clearance into the program but were either denied access to OVDP or withdrew from the program of their own accord. The IRS will address continued noncompliance through a variety of treatment streams including examination. The article has the other categories, so interested readers should go there. These campaigns represent the first wave of LB&I's issue-based compliance work. The IRS said more campaigns will continue to be identified, approved and launched in the coming months. JAT Comment: I am not sure what this adds to the current process. I had only two OVDP submissions that were not completed -- one denied and one withdrawn. Both were audited with good results -- in the denied case, ended up with same result as OVDP (which is what we wanted in the first place) and the other got a great result (which we anticipated in withdrawing). So my limited anecdotal experience is that the IRS was attending to this category anyway. But, perhaps the IRS had fallen behind or some were slipping through the cracks.